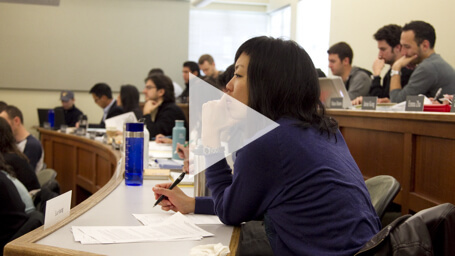 A new educational web video series profiling Haas MBA graduates. John Hanke, Founder of Google's Niantic Labs, shares how a love of games and a Berkeley MBA contributed to his co-founding of Keyhole, the startup that became Google Earth, and most recently, his launch and leadership of Google's Niantic Labs, which develops location-based apps. 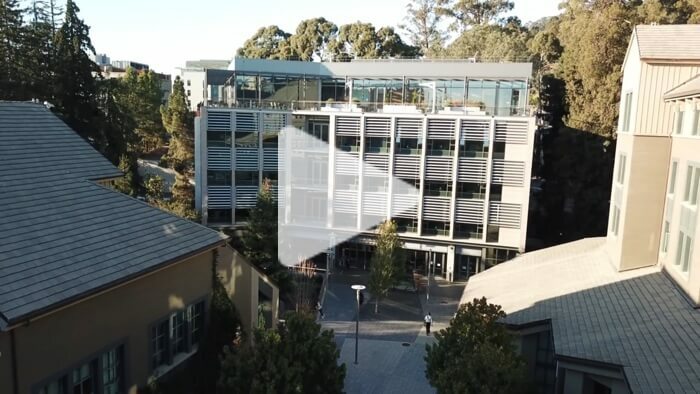 This video production for higher education is highlighted on the Haas School YouTube Channel. Berkeley-Haas alumna Danae Ringelmann, co-founder of Indiegogo, shares the story about how her Berkeley MBA experience helped her successfully build the leading international platform for crowdfunding, an industry that did not exist when she began her career at Haas. UC Berkeley’s Haas School of Business alumns gift for the new state-of-the-art academic building Connie & Kevin Chou Hall. Chou (CEO of mobile gaming firm Kabam) says it is important to him to give back to the school early in his career to inspire current and future Haas students to become entrepreneurs. 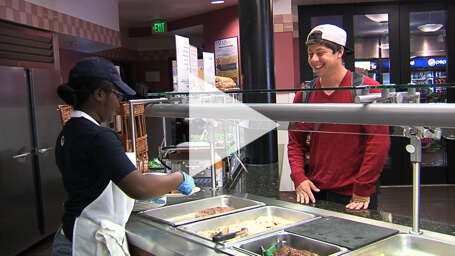 Cal Dining's employee training video production introduces new employees to the sixteen dining options, dietary goals and mission of the organization that serves up to 30,000 people a day at UC Berkeley. 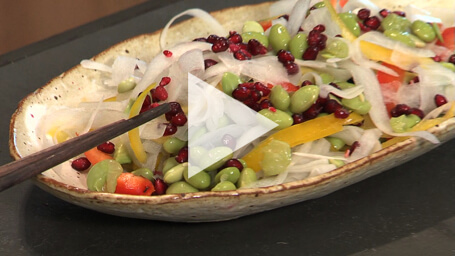 This training video explores how students can have healthy, varied and tasty dining options. 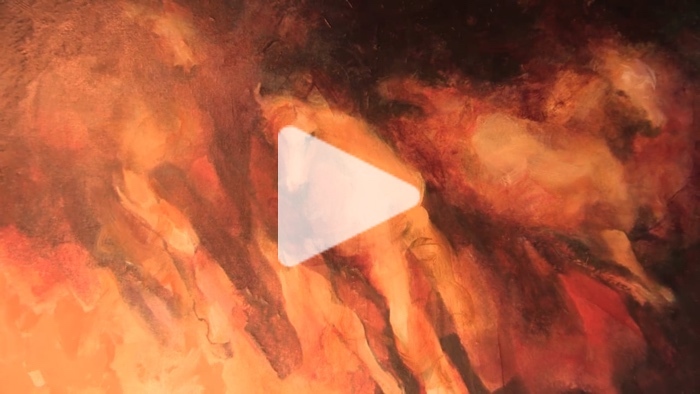 An educational video explaining the concept and design of a new world-class building. With flexible classrooms and study areas, and technology to support digital education, its design nurtures evolving learning modes and environments. 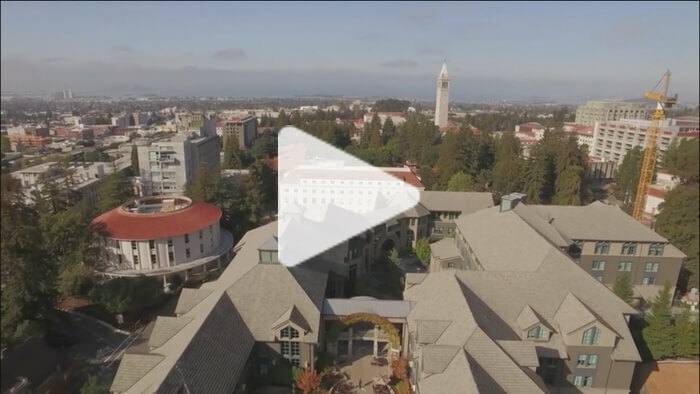 Haas Achieves, a higher education web video, highlights the achievements of the MBA classes of 2012 and 2013 at the Haas School of Business, UC Berkeley. Highlighted topics include organizing conferences, international treks and winning case competitions. Seventeen interviews were conducted for this five minute storytelling video. This 2014 Telly Award-Winning educational web video is a showcase for the Haas website and annual school gala and highlights the school's mission of "Developing leaders who redefine how we do business." Many of the straight-line paths our world has been on over recent decades cannot continue: think healthcare expenditures, public education, the economics of aging, energy use, global access to safe water, and many others. These unsustainabilities are also tremendous market opportunities. 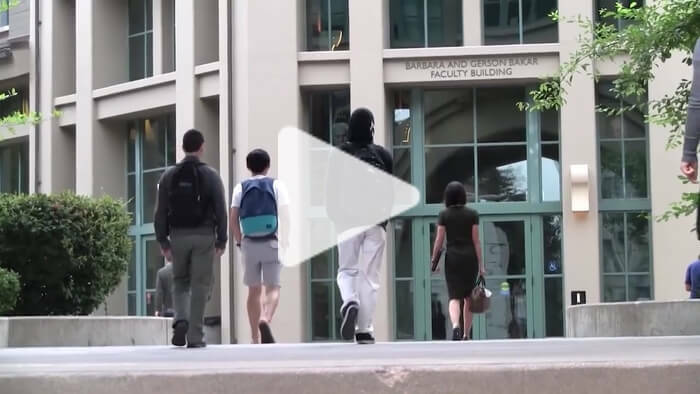 Through interviews with students, faculty, and alumni, this higher education video explores how to educate future path-bending leaders. 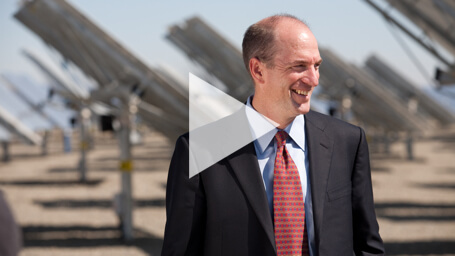 A new web video series profiling Haas MBA graduates. 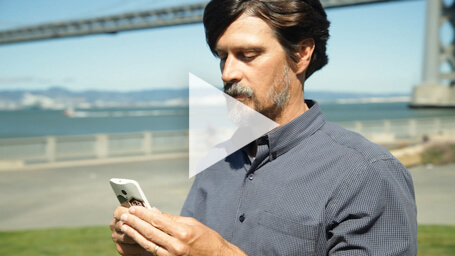 Alan Knitowski, CEO of Phunware, is revolutionizing the way corporations reach customers via mobile devices. 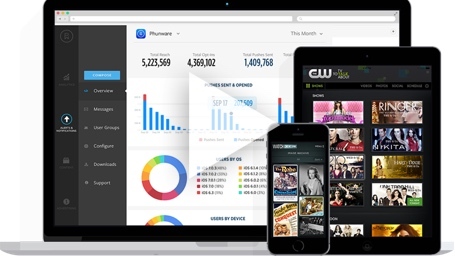 It helps companies build mobile apps and engage, manage and monetize users across mobile devices. 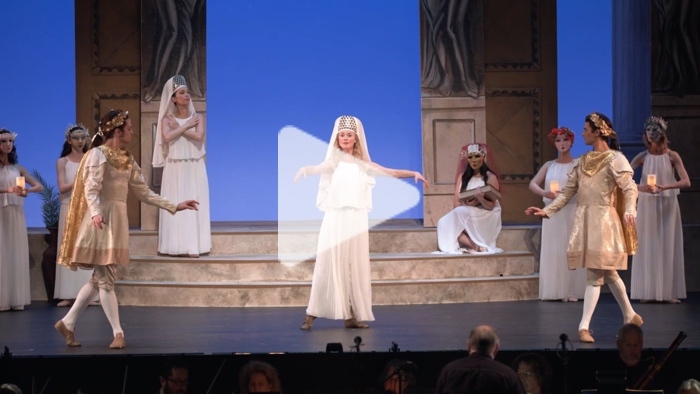 This Telly award winning video goes behind-the-scenes to experience the modern-day premiere of Rameau’s masterwork — Le Temple de la Gloire (The Temple of Glory) — fully staged as Rameau intended, for the first time since the opera’s 1745 premiere. The magnificent libretto is by Voltaire. The original manuscript is housed at UC Berkeley’s Hargrove Music Library, making Berkeley’s Zellerbach Hall the ideal setting for three spectacular performances. This co-production with Cal Performances and Centre de Musique Baroque de Versailles represents a collaboration years in the making. 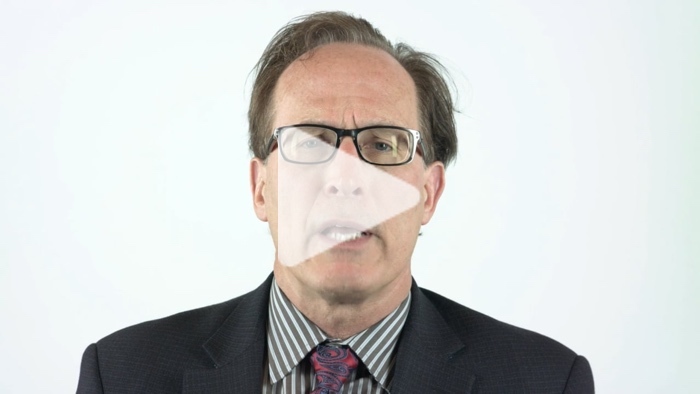 MicroDental Technologies Inc., a national dental laboratory, needed a technology video to showcase their culture of innovation. 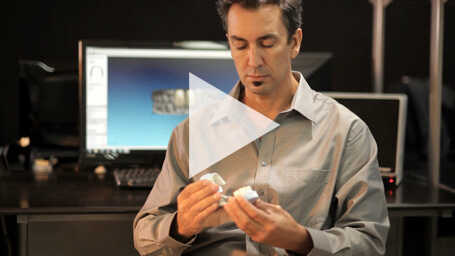 This graphics-intensive product-demo video highlights their transition from producing handmade dental restorations to becoming an industry leader in the digital dental technology of tomorrow. 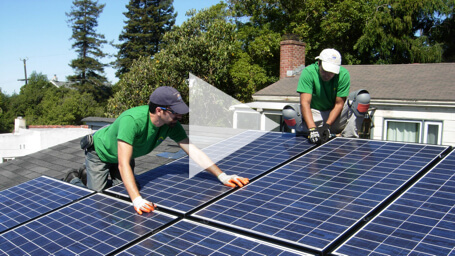 Advanced Home Energy is a leading Bay Area green home performance contractor. This storytelling corporate video demonstrates how Advanced Home Energy can provide solutions for living in a comfortable, healthy and energy-efficient home. This technology video production also shows how new technologies can greatly improve home performance. 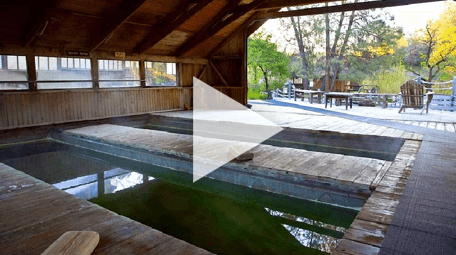 An overview video of Wilbur Hot Springs, introducing the resort as a refuge from the fast pace and noise of the modern world. How do you raise money for a non-profit? This video was used to highlight the school's curriculum and programs for their fundraising gala. 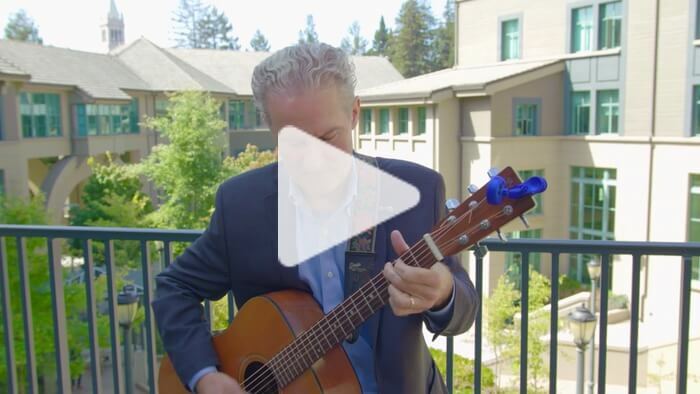 Leading with Soul and Purpose, Berkeley Haas culture champion Rich Lyons, completes his tenure as dean. 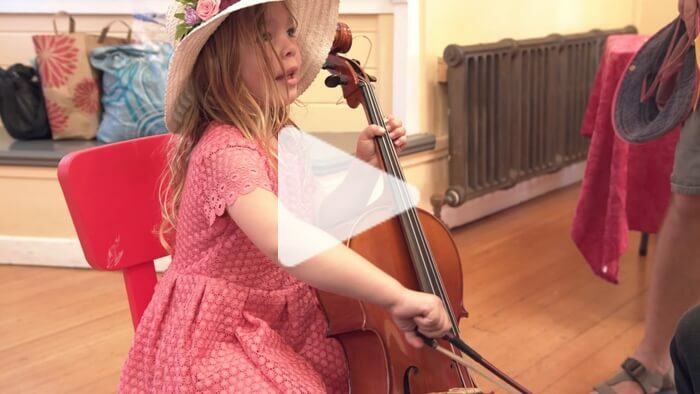 Community of Music Makers is a new program created expressly for adult amateur musicians who want to engage in the joys of making music with others, whether playing an instrument in a chamber group or orchestra or singing in a chorus. This performing arts video production showcases this wonderful program. The Breakaway Vegetarian Cook: An Umami-Intensive Journey Into Vegetables is an e-book cookbook that radically improves most vegetarian cooking. The secret? Adding lots of umami, which makes the dishes taste hyper savory, almost meaty. The cookbook contains dozens of short product-demo videos and photography demonstrating dish preparation. 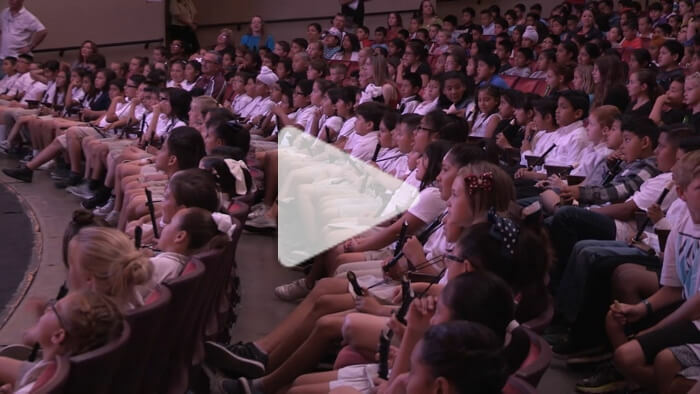 The Fresno Philharmonic's Link Up program in partnership with the Fresno County Superintendent of Schools brings more than 11,500 elementary students from 130 Fresno County schools to explore orchestral music through a hands-on curriculum using a recorder and their own voice. The Bear Valley Music Festival is a yearly summer event in Bear Valley, California, located about 180 miles east of San Francisco at just above 7200 feet elevation in the Sierra Nevada. Under the direction of internationally recognized conductor Michael Morgan since 2012, the festival strives to appeal to a wide demographic by presenting a variety of artists and styles of music including classical, rock, country and jazz. 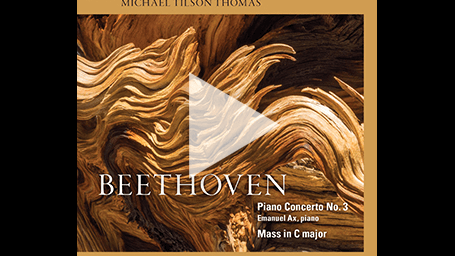 A promotional video featuring Emanuel Ax in this all Beethoven release from Michael Tilson Thomas and the San Francisco Symphony. 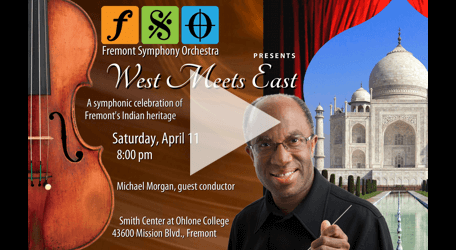 Conductor Maestro Michael Morgan leads the final concert of the Fremont Symphony season in a gorgeous expression of Fremont's Indian heritage. A profile of four visual artists exhibiting at the Falkirk Cultural Center in San Rafael, California. 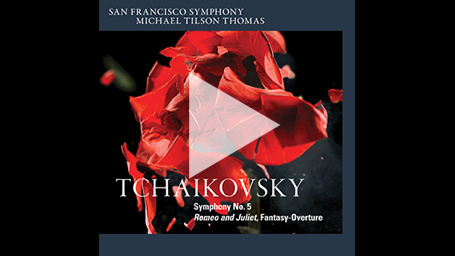 A promotional video highlighting the powerful and moving music by Tchaikovsky in this all-new release from Michael Tilson Thomas and the San Francisco Symphony. 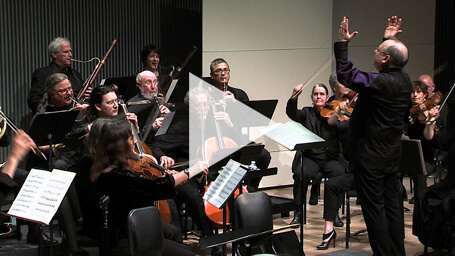 This non-profit video production celebrates the 20th Anniversary of the New Century Chamber Orchestra, one of only a handful of conductorless ensembles in the world. 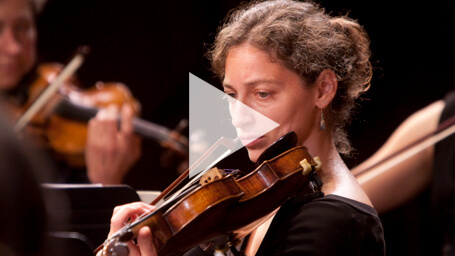 With internationally-renowned violin soloist Nadja Salerno-Sonnenberg at the helm, the Orchestra has earned a reputation as the finest string orchestra in the nation, beloved for its on-fire, electrifying performances. 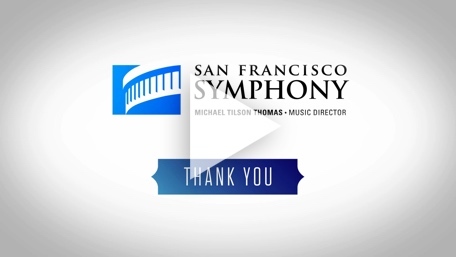 A holiday video thanking all the generous donors for their support of the San Francisco Symphony. 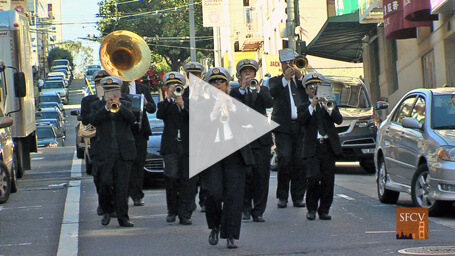 They, along with many volunteers, are a huge part of what makes music possible at the SF Symphony. 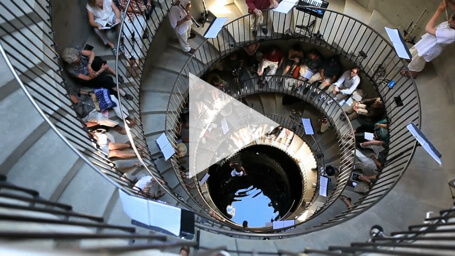 Sympho's immersive exploration and integration of sound and space is TOWER, a concert that placed performers and audience on the double-helix interior staircases of Ann Hamilton's stunning 80-foot-tall sculpture and arts venue in California, set amidst the picturesque vistas of the Sonoma wine country. The event featured newly-commissioned music by composers Christopher Bono, Paul Haas, and Bora Yoon, played by Sympho under Haas's direction. 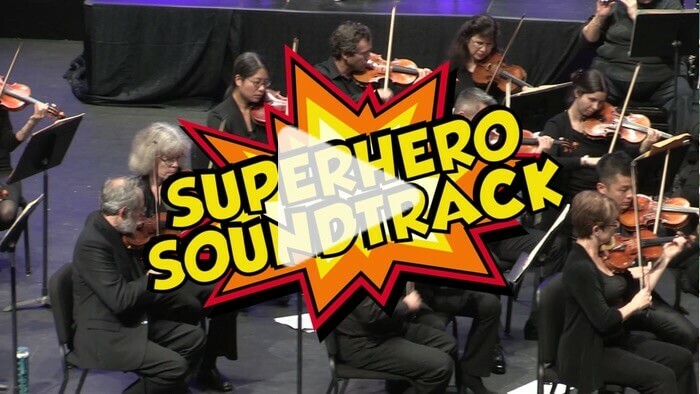 In this video documentary, classical musicians do a lot more than just show up for their orchestra gigs. Here are true tales of the city from two musicians whose creativity defies categories. Harpist Boris Goldmund and tuba player Zachary Spellman are very different people, but they share the ability to see beyond the notes to the universals behind musical styles. Their tales are stories of creativity finding its own outlets among the possibilities of a great city. Discover Sessions, a different kind of concert, with conductor Nicholas McGegan and Philharmonia Baroque Orchestra. This program includes harpsichordist Robert Levin and fortepianist Ya-Fei Chuang performing a double concerto by C.P.E. Bach, as well as movements from a Haydn symphony. 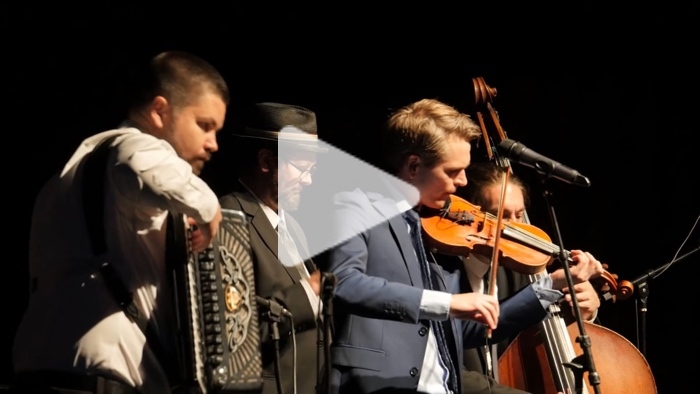 With wit and humor, Nic McGegan and his musicians take you on a Classical tour. This concert took place at the SFJAZZ Center, San Francisco, in February 2014. The Crowden School is a day school for children in grades four through eight. It combines an intellectually engaging academic curriculum with a distinguished music program for students of strings and piano. This educational video production provides an overview of the curriculum. An online teaching presentation for Stanford MD students and faculty. 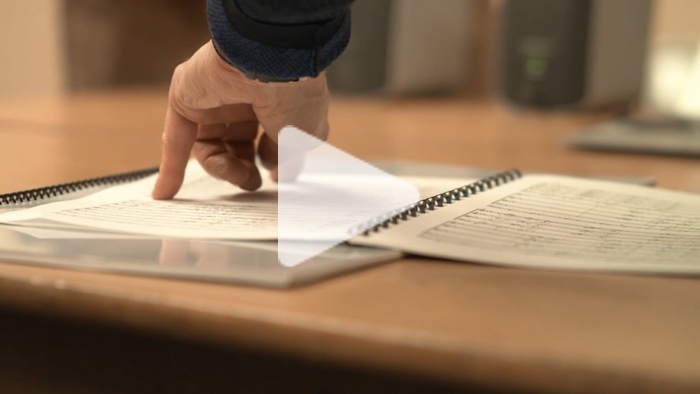 This training video production was produced for CBPCA, California's premier home performance advocate and a leader of the home performance industry's growth. CBPCA trains contractors and provides them access to a vibrant home performance contractor community and valuable industry-related knowledge. 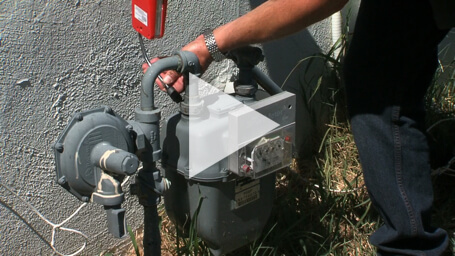 This video provides hands on training for home performance contractors. The Young Composers program was founded in honor of Pulitzer Prize-winning composer John Adams. The heart of our mission is to guide and mentor our students through the formative stages of their creative growth as composers. A fundraising video used to highlight the school's curriculum and programs for their fundraising gala. 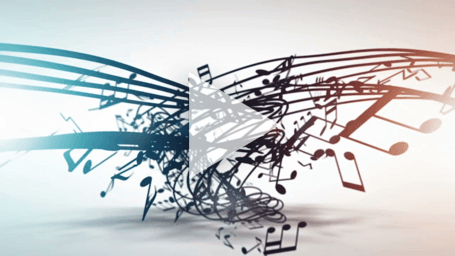 A series of documentary web video music profiles sponsored by the National Endowment for the Arts. SFCV takes you backstage to find out about all the myriad details that Wagner's The Ring requires in order for the saga to make it to the stage. There are small costume details, coordinating and running dozens of props across the entire epic, putting the supertitles together, insuring continuity in the production, coordinating the hundreds of music-and-stage-action cues, making rehearsal schedules work, plus inventing special effects, and more. This really is not your ordinary opera production. 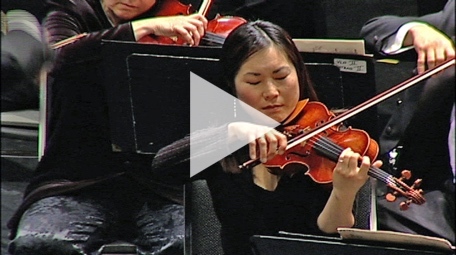 A series of PBS TV spots for Fresno Philharmonic concerts. 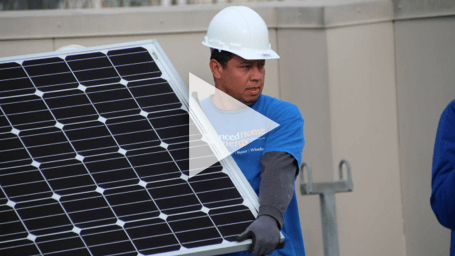 This technology video uses a state of the art drone to capture the large 150 panel solar system used to power a fifty unit apartment building in Oakland, California. When combined, solar and efficiency deliver the greatest return on investment, home performance potential, and environmental benefit. 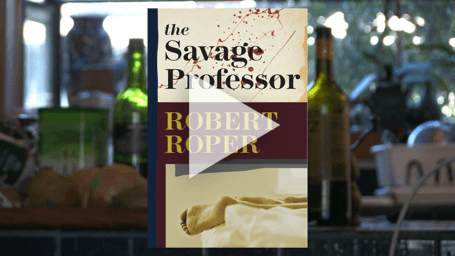 A promotional product book video for Robert Roper's noir thriller The Savage Professor, published by Asahina & Wallace, Los Angeles. Professor Anthony Landau, renowned epidemiologist, returns to his home in the Berkeley Hills to find a woman, a former scientific colleague, naked and quite dead in his bed. Her death sets in motion a chain of events-- and murders-- that will have the locals terrified, UC Berkeley's academics pointing fingers, the cops under pressure to solve the crimes, the tabloid press crying for blood, and Landau as everyone's number-one pick for serial killer of the year. 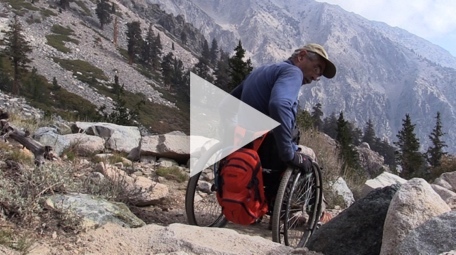 A PBS award-winning documentary film, 4 Wheel Bob tells the story of Bob Coomber, an intrepid adventurer who sets out to be the first wheelchair hiker to cross the 11,845-foot Kearsarge Pass in the Sierra Nevada. This story of overcoming immense obstacles will inspire us to look at our own self-imposed limitations and perhaps reach beyond what we think is possible. 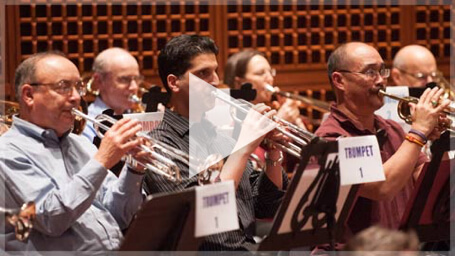 The PBS documentary Freeway Philharmonic follows seven San Francisco Bay Area freelance classical musicians as they perform with regional orchestras across Northern California while struggling to acquire a permanent position with a major symphony. It depicts their efforts to balance a love of music with a road warrior lifestyle that often requires traveling hundreds of miles a day to rehearse, teach and perform.